How Eirene Cleaning Service works? How does Eirene Cleaning Work? Eirene Cleaning is a user friendly platform for connecting individuals looking for household services with top-quality, pre-screened independent service professionals – for all cleaning types to carpet cleaning! With a seamless 60-second booking process, secure payment, and a 100% satisfaction guarantee, Eirene Cleaning is the easiest, most convenient way to get stuff done around the house or office. 1) Select the date and time you’d like your professional to show up. 2) We’ll confirm your appointment and take care of payment electronically and securely. 3) On the big day, an experienced, fully-equipped professional will arrive at your home ready to get the job done right. How Do I Know If I Can Trust Eirene Cleaning? Eirene Cleaning Services is a professional cleaning service consisting of experienced cleaners. We stand behind our work with a 48-hour Guarantee. If you’re not completely satisfied, simply contact us within 48 Hours and we will arrange to re-clean the areas that did not meet your expectations. Who Does Eirene Cleaning Hire To Clean My House? Cleaning professionals who are experienced, insured and police checked. We continually research, listen to recommendations, and meet countless numbers of service providers to secure our growing network, boasting the best local service professionals. Your safety is our priority, so all our professionals are police and reference checked, and tested in the field. Fundamentally, it is important for us to earn the client’s trust and loyalty. That’s why we’re flexible and do our best to accommodate to each client’s requirements, including the little details. Customised services. No contracts. No hassle. What is the Eirene Cleaning Satisfaction Guarantee? We strive to delight and deliver on every service. If for any reason you’re not satisfied, we’ll do our best to make it right. Please contact our Customer Happiness team within 24-hours of your service, and we’ll happily send your professional back free of charge. What does your Bond Back Guarantee cover? Eirene Cleaning offers total confidence with our team of specialist End of Lease cleaners . With our Bond Back Guarantee, if your property manager isn’t satisfied with any of the cleaning performed by our teams, simply notify us within 72-hours of service completion and we’ll arrange for the cleaners to return free of charge to re-clean those areas. To be eligible for a Bond Back Guarantee, you must accept and pay for the full number of hours recommended by your Professional to complete the Checklist. What Do I Have To Do Before A House Cleaning? To make our cleaning job more efficient, we ask that you clear the areas to be cleaned from clutter prior to a visit from our housekeeping team. Are There Any Cleaning Task You Do Not Do? – Clean anything that can’t be reached with an extended duster and a 2-3 step ladder. Does Eirene Cleaning Use Eco-Friendly Products? At Eirene Cleaning, we offer non-toxic, pH balanced cleaners without petroleum, alcohol, bleach, ammonia or other chemicals that irritate skin or harm the environment. We recommend the use of eco-friendly products and only use stronger cleaning products for stubborn stains. How Can I Share My Experiences? You value our client’s feedback and we want to know how we can serve you better so that you’d be proud to share your experience with your friends and family. You can send in your feedback through our Contact Us page or give us a shout on Facebook or Twitter. Depending from the requirements, it will be one or more cleaners. Most of our cleaners are dog and cat friendly. However, it is the client’s responsibility to put away or secure pets that will impede the work of the cleaning crew. Also advise us of pets that may try to escape quickly if a door is opened to ensure their safety. If you have a pet with special needs or that makes a mess, please make arrangements to control these occurrences as Eirene Cleaning does not include cleaning after pets. Eirene Cleaning can offer quality cleaning supplies at a nominal fee for one-off cleaning or we can use the client’s cleaning products and tools. However, for hygiene purposes, we ask clients to provide the use of their own mop and bucket (recommended by us) in good, usable condition. Eirene cleaners shall not be held liable for equipment damage or breakage. We can provide the use of our own vacuum cleaner upon request. Clients will also need to provide the use of toilet bowl brushes and garbage bin liner. Do Professionals bring their own supplies? Yes! Our service professionals come fully equipped with all standard supplies they need for your job. When completing your online booking, let us know if you have a vacuum & mop that the cleaner can use – this will make your booking available to a wider network of cleaners, as some travel by public transport. For cleaning, this includes all cleaning equipment and supplies including vacuum. However, this does not include consumables such as soil, plants etc. If your job requires consumables or special materials, you will be advised in advance. Our service providers can either purchase them on request or you can procure your own items. I love Eirene Cleaning! How can I tell my friends? Aaaw thanks we love you too! Tell as many of your friends and family as you’d like, and make sure they mention your name when booking – you’ll each get a $25 service credit. Not at all – it’s completely up to you! Most of our cleaning jobs are done Monday – Friday from 9am – 5pm, and it is common practice for clients to be out of the house entrusting us with their house keys. For additional security, all house keys are coded. If you will not be home at the time of the job, you may choose to leave your keys at a pre-designated location agreed upon by you and your service provider. What Time Do The Cleaners Arrive and Leave? Eirene Cleaning cannot guarantee the exact time of arrival and departure due to circumstances beyond our control such as traffic and weather conditions. We also believe in giving each cleaning the attention it deserves and not pre-determine an amount of time. If for any reason you require a more precise time, we will try our best to work out a convenient solution with our clients. What Happens If I Need To Reschedule A Cleaning Appointment? At EireneCleaning we understand that unexpected things happen. If you need to make a change to the booking details, simply call 1300 947 969 or email us at reach@eirenecleaning.com.au. We appreciate as much notice as possible so we can assign our cleaners to take other jobs. We do require a minimum of 3 days (72 hours) notice before your scheduled home cleaning. We will do our best to accommodate your scheduling needs. You can cancel or reschedule with full refund right up until 72 hours before your booking is scheduled to begin. Short Notice Cancellation Fee – within 24-hours of your booking, the full service fee will be charged. Missed Appointment Fee – if a Service Pro arrives for a scheduled booking, but they’re unable to gain entry or get started, the full Service Fee will be charged. Eirene Cleaning passes these fees onto your Service Pro to help cover their travel costs and loss of job. What If My House Clean Falls On A Holiday? We will call to reschedule for a more convenient time when house cleanings fall on holidays. Perhaps that means an additional clean prior to a big holiday party. If you’ve scheduled that extra holiday cleaning service, cancelling or rescheduling does requires 72-hours notice. Will I Have The Same Cleaning Person? While we do try to have the cleaner sent to you, we cannot promise the same person especially for irregular cleans. In the event your regular cleaner is unavailable due to family emergency, sick days, etc. you will be notified in advance. Domestic cleaning will not require a contract. A contract is only required for business and trade cleaning. However clients are required to agree to our standard cleaning policy before the commencement of cleaning work. We also ask that all clients look through and sign off a check list to ensure that the cleaning was done according to the client’s requirements. What If I Forget It’s My Cleaning Day? No problem. Our cleaner will use the key you have provided to carry out their cleaning service as normal. However if the cleaner is not provided a key and is not able to do the cleaning on the scheduled day, then a cancellation fee of $50 will be charged to the client. You’ll get an email from Eirene Cleaning as soon as your booking is confirmed. Which Eirene Cleaning Professional will come to my place? Eirene Cleaning has an extensive network of friendly, experienced professional cleaners and gardeners that have been vetted for quality, reliability, and customer satisfaction. Based on the time and date of your request, Eirene Cleaning will assign the best professional available. Can I request a provider I've used in the past? Yes, you can! Many of our customers have regular bookings with the same provider. If you like a provider you’ve used previously, just make a note of that when booking. We’ve got you covered! Book online in 60 seconds and schedule your service for as early as tomorrow. As we tend to pay our providers a higher rate to secure an awesome team at late notice, there is a $35 surcharge on last minute bookings. Can I book for Sunday? Yes, we have professionals available for Sunday bookings! There is a $35 surcharge for a Sunday service. What if the job takes longer / shorter than I booked for? If the job takes less time we’re happy to refund you for any unused time. If the job takes longer or is more complicated, your Service Pro will ask you to confirm the additional cost at the time of service, and we will charge you the additional amount only if you have agreed. All our Service Pros do their best to finish the job in the estimated period and don’t usually need any sort of price adjustment. In some situations where there is extra work or the job is more complex, your service provider will inform you of any changes. We will never charge you more than the amount outlined in your booking confirmation without your consent. Eirene Cleaning works with every home owner to create a custom cleaning plan designed on frequency and preferences. Hourly and specialty add-on services such as refrigerator, oven cleaning and window cleaning are also available options for your consideration. A quality cleaning with regularly scheduled services from Eirene Cleaning Services will typically not cost more than a nice dinner for two. Your time is valuable. Leave the mundane chores up to us. Payment can be made by bank transfer, cheque or via cash / EFTPOS by presenting your invoice at the post office. Customers are required to make a pre-payment for first time or one time services while regular customers may make a payment within 7 days from time of invoice. Eirene Cleaning is a simple, worry-free home cleaning service solution. That means we take care of personal liability with regard to work-related injury and social security taxes. Some independent cleaning services may not, which makes homeowners liable. With Eirene Cleaning, we are fully insured, licensed and police checked for your protection and ours. For your safety and convenience, Eirene Cleaning service is cashless – no more last minute dash to the ATM to get money for your cleaner! Your payment is processed securely and easily on your Visa or Mastercard upon booking. If you book a recurring service, your payment will be processed 24 hours prior to each service date. How does your Cleaning pricing work? Eirene Cleaning Services are priced on a per hour basis, with a minimum 2-hour booking period. You can enhance your clean by adding “extras” such as fridge or oven cleaning. Book a weekly or fortnightly schedule to save with discounted rates. How does your Carpet Cleaning pricing work? Carpet steam cleaning is priced per room, by staircase (5-stairs), or number of rugs selected. There is a minimum $140 callout fee. Can I get a quote for my service? If you job is a little more complicated or you have specific requests, please contact our Customer Happiness Team and they’ll be happy to assist. What If The Cleaner Missed A Spot? 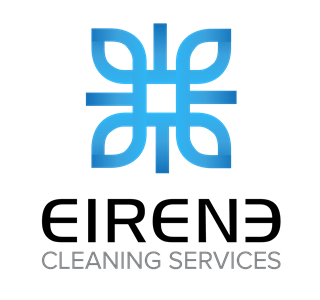 Our cleaning services offer consistent, quality home cleaning. Like all new relationships, however, miscommunications do occur and people do make mistakes. That’s why we offer a house cleaning service guarantee, which mean if you notify Eirene Cleaning’s office within 48 hours, our house cleaning staff will correct their mistake at no charge. We treat you and your home with complete respect. If something does unexpectedly break, we do our best to either repair or replace that item. Eirene cleaners are fully insured, so claims are filed when appropriate. Try and remain calm. Retrace your steps; about 90% of the time, missing items are simply misplaced by the owner and is usually found within 24 hours (it happens all the time). HOWEVER if it is not found or if the disappearance is obvious and you suspect it is our cleaner, contact Eirene Cleaning Services’ office with a complete description of what is missing including important information such as serial number inscriptions or any distinctive markings. Give us the opportunity to correct the situation. Please keep in mind, though, that we will treat the accused as innocent during any investigation until proven guilty. Clients may however, request to have the cleaning service suspended or request for a different cleaning person until the matter it is resolved. If you’ve had your carpets steam-cleaned, we recommend 2-4 hours from completion of service for the best results. Did you give your professional permission to leave? If that’s the case, you can adjust the hours by contacting us explaining the situation. Note that our bookings are subject to a two-hour minimum. If the professional left without your permission, please contact us to know, so we can refund you. We’re here to help! Please call 1300 947 969 or email us at reach@eirenecleaning.com.au . Urgent issues like these are monitored 24/7. At Eirene Cleaning we’re pretty good at estimating the number of hours that your job requires. However, every home and every job is different, so your professional may need more time than you originally booked for. If this happens and you are happy with the professional spending more time at your home, please contact us to update the booking. We will never charge you more than the amount outlined in your booking confirmation without your consent. We’re sorry to hear that your professional’s service didn’t live up to your expectations. We set high standards, and all of the professionals on our platform are expected to provide quality service. Please be sure to rate your professional, so that we can review their ongoing inclusion in the EireneCleaning network. If you’d like, you can also reach out to our Customer Happiness team to explain the issue in detail.